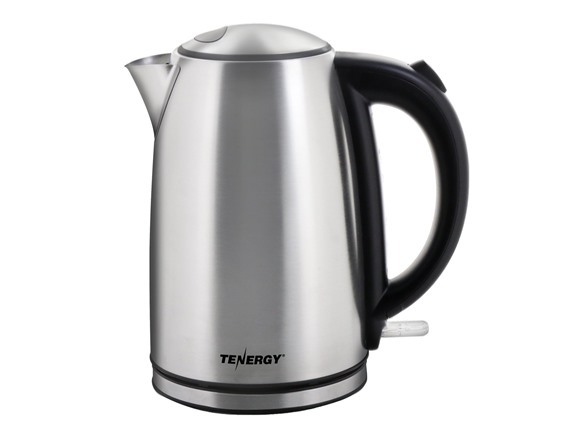 MODERN & DURABLE DESIGN - The 304 food grade stainless steel gives a beautiful shimmer to the Tenergy Electric Tea Kettle that is also reinforced by its strong construction. 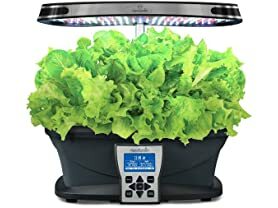 The water is kept free from plastic taste that some kettles suffer from. 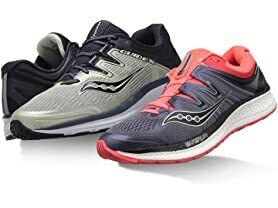 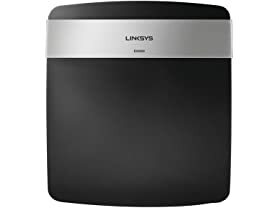 The safe-to-touch handle comfortably lets you pour out hot contents and the BPA-free measuring window let you know the amount of water left. 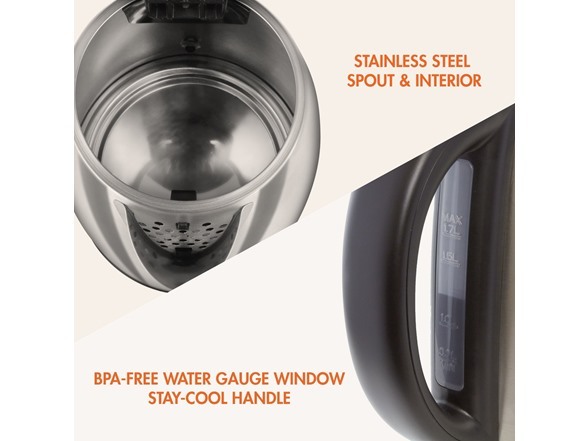 SAFETY PROTECTION BACKED BY STRIX - The Water Kettle has an built-in auto shut off when the water is fully boiled or if boil-dry to stop accidents from occurring. 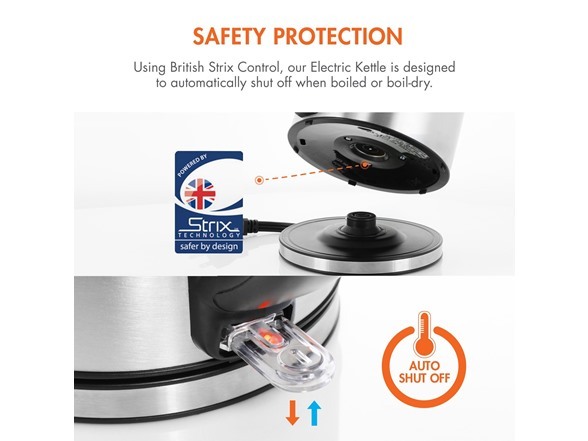 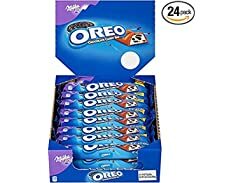 Backed by British Strix Thermostat Control (the leading brand of kettle thermostat control), our kettle adheres to the standards put forth by Strix to ensure precise temperature control. 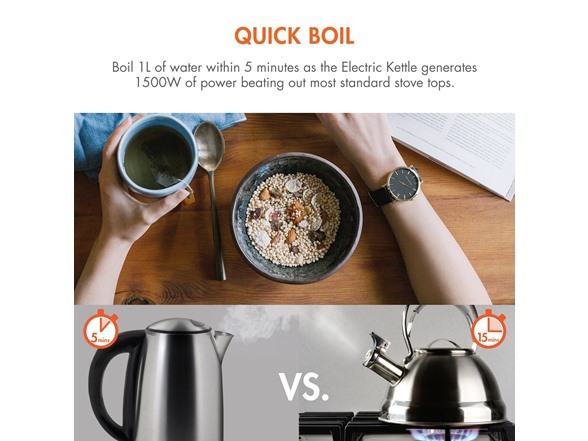 QUICK BOIL WITH 1.7L LARGE CAPACITY - With 1500W of power, the Tenergy Electric Tea Kettle is a fast water boiler that can boil 1L of water within 5 minutes, beating out most conventional stove tops by up to 10 minutes! 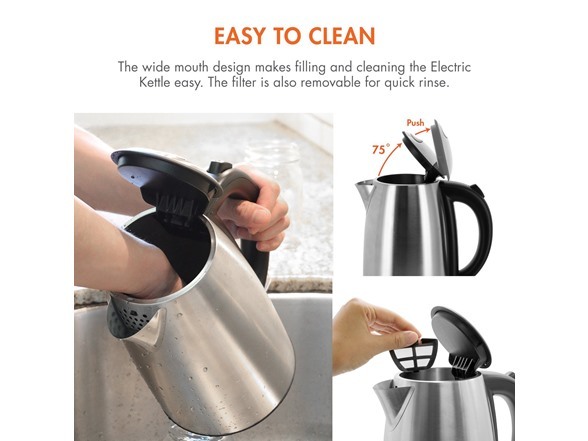 EASY TO USE, CLEAN, & STORE - The 360° swivel power base and wide mouth lid that opens at 90° make using and cleaning this cordless tea electric kettle very easy. 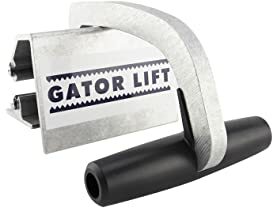 The filter behind the spout is also removable for quick rinse. 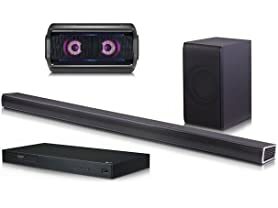 After use, easily wrap the power cable underneath for tangle-free storage. 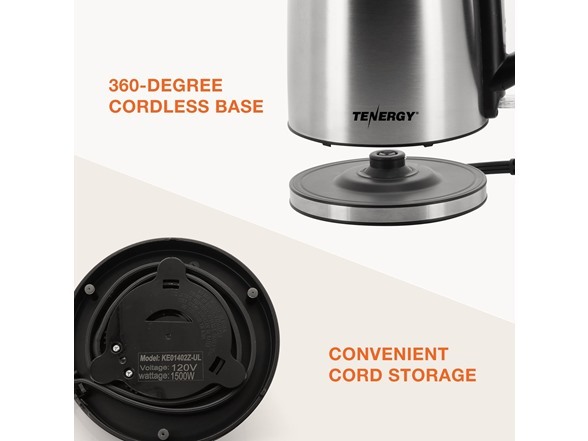 CERTIFIED QUALITY & 2 YEARS EXTENDED WARRANTY - The FDA and ETL certified Tenergy Electric Tea Kettle is the premier standard for electric tea pots. 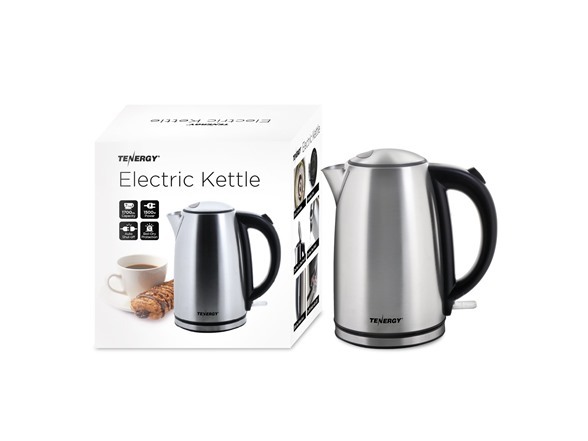 Register your Tenergy Electric Kettle to receive 2 years extended warranty and lifetime support from our friendly customer service.